Some 70% of Earth's surface is covered by water, and yet nearly all earthquake detectors are on land. Aside from some expensive battery-powered sensors dropped to the sea floor and later retrieved, and a few arrays of near-shore detectors connected to land, seismologists have no way of monitoring the quakes that ripple through the sea floor and sometimes create tsunamis. Now, a technique described online in Science this week promises to take advantage of more than 1 million kilometers of fiber optic cables that criss-cross the ocean floors and carry the world's internet and telecom traffic. By looking for tiny changes in an optical signal running along the cable, scientists can detect and potentially locate earthquakes. The technique requires little more than lasers at each end of the cable and access to a small portion of the cable's bandwidth. Crucially, it requires no modification to the cable itself and does not interfere with its everyday use. The method "could be a game-changer," says Anne Sheehan, a seismologist at the University of Colorado in Boulder who wasn't involved in the work. "More observations from oceanic regions could fill in some pretty big gaps." MOMotion of the Ocean floor : The network of submarine fiber-optic cables that deliver work emails and cat videos to computers around the world could double as undersea earthquake detectors. Existing cables are shown in purple; planned cables are in blue. It began with an accidental discovery, says Giuseppe Marra, a metrologist at the National Physical Laboratory in Teddington, U.K., who works on the fiber optic links that connect atomic clocks in labs across Europe. He was testing a connection on a 79-kilometer buried cable that runs from Teddington to Reading, U.K., and relies on a stable, resonating loop of laser light. Vibrations near the cable—even the noise of traffic above—can bend it imperceptibly. That can shorten or lengthen the light's travel distance by less than the width of a human hair, shifting the resonating light beams slightly out of phase. Marra was accustomed to background noise on his fiber optics. But when he reviewed data from October 2016, he saw more than the average amount of noise. It turned out to be the local effects of 5.9- and 6.5-magnitude quakes that struck central Italy late that month. "It was quite a revealing moment," Marra says. That noise, he realized, pointed to a new way to detect earthquakes. An underwater fiber-optic cable stretching from Malta to Sicily sensed a magnitude 3.4 quake in the Mediterranean Sea on September 2, 2017. Researchers confirmed this detection with two nearby seismometers. One seismometer near the Malta end of the cable, closer to the earthquake’s epicenter, detected the quake shortly before the cable, and a seismometer near the Sicily end identified it shortly after. Marra wondered whether the technique could be extended to the ocean, where the environment might be quieter. Using a 96-kilometer submarine cable connecting Malta and Sicily in Italy, he and his colleagues detected a magnitude-3.4 earthquake in the Mediterranean Sea. But by shooting lasers down a cable from both ends, he says, scientists could detect differences in the travel times of the out-of-phase signals, which would reveal just where the earthquake first caused a disruption along the cable. With three or more cables outfitted this way, he says, the earthquake's exact location in the crust could be triangulated. By filling in the "seismic desert" in the ocean crust and showing where seafloor earthquakes occur and how often, the method could illuminate new fault structures and regions where tectonic plates are colliding or rifting apart, says Charlotte Rowe, a seismologist at Los Alamos National Laboratory in New Mexico. It could also help with tsunami warning systems, she says, provided the strength of the optical signal reveals an earthquake's size. Besides mapping earthquakes, Rowe thinks the cable networks could sharpen pictures of Earth's interior. Like x-rays in a computerized tomography (CT) scan, seismic waves from big earthquakes carry clues to the density of rock they pass through. From crisscrossing waves received by multiple sensors, seismologists can construct 3D pictures of mantle convection, in which hot plumes well up and cold tectonic plates plunge toward Earth's core. Data from seafloor cables could fill in blind spots in these seismic CT scans. But Rowe says investigators will have to get better at interpreting the cable signals before using them to peer into deep Earth. Marra says the new technique is sensitive enough to work across ocean basins thousands of kilometers wide. It requires adding a small cabinet of lasers and optical equipment that costs about $50,000 at each end of the cable, and access to just one of the hundreds of channels in a typical cable. Renting a dedicated channel might cost about $100,000 a year on a transpacific cable, and much less on one between North America and Europe, says Stephen Lentz, who works with the cable industry as director of network development for Ocean Specialists, Inc., based in Stuart, Florida. "Frankly, this is the kind of thing where the cable owner could donate the service and take the tax write-off. It costs them little or nothing to share unused wavelengths." That's significant, says Bruce Howe, a physical oceanographer at the University of Hawaii in Honolulu, who leads a task force exploring how to stud new ocean cables with seismic, pressure, and temperature sensors, every 50 to 100 kilometers. Although the add-on sensors, at roughly $200,000 apiece, are cheaper than operating stand-alone ocean bottom detectors, cable owners have been wary of affecting cable performance. The new technique offers a cheaper and less disruptive way to listen to the ocean floor. Howe calls the results "intriguing" and says his task force will advocate for a longer test. "It should absolutely be pursued." Changes in the Antarctic ice sheet’s contribution to global sea level, 1992 to 2017. According to research from the Ice Sheet Mass Balance Inter-comparison Exercise (IMBIE), published today in Nature, the Antarctic ice sheet’s contribution to global sea level was 7.6 mm since 1992, with two fifths of this rise (3.0 mm) coming in the last five years alone. Results of the Ice Sheet Mass Balance Inter-comparison Exercise (IMBIE) were published Wednesday in the journal Nature. “This is the most robust study of the ice mass balance of Antarctica to date,” said assessment team co-lead Erik Ivins at NASA’s Jet Propulsion Laboratory (JPL). This latest IMBIE is the most complete assessment of Antarctic ice mass changes to date, combining 24 satellite surveys of Antarctica and involving 80 scientists from 42 international organizations. The team looked at the mass balance of the Antarctic ice sheet from 1992 to 2017 and found ice losses from Antarctica raised global sea levels by 0.3 inches (7.6 millimeters), with a sharp uptick in ice loss in recent years. They attribute the threefold increase in ice loss from the continent since 2012 to a combination of increased rates of ice melt in West Antarctica and the Antarctic Peninsula, and reduced growth of the East Antarctic ice sheet. Prior to 2012, ice was lost at a steady rate of about 83.8 billion tons (76 billion metric tons) per year, contributing about 0.008 inches (0.2 millimeters) a year to sea level rise. Since 2012, the amount of ice loss per year has tripled to 241.4 billion tons (219 billion metric tonnes) – equivalent to about 0.02 inches per year (0.6 millimeters) of sea level rise. Crevasses near the grounding line of Pine Island Glacier, Antarctica. West Antarctica experienced the greatest recent change, with ice loss rising from 58.4 billion tons (53 billion metric tons) per year in the 1990s, to 175.3 billion tons (159 billion metric tons) a year since 2012. 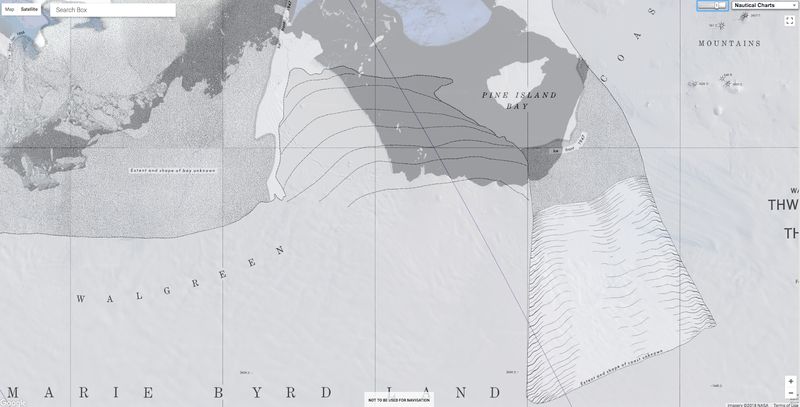 Most of this loss came from the huge Pine Island and Thwaites Glaciers, which are retreating rapidly due to ocean-induced melting. At the northern tip of the continent, ice-shelf collapse at the Antarctic Peninsula has driven an increase of 27.6 billion tons (25 billion metric tons) in ice loss per year since the early 2000s. Meanwhile, the team found the East Antarctic ice sheet has remained relatively balanced during the past 25 years, gaining an average of 5.5 billion tons (5 billion metric tons) of ice per year. Antarctica’s potential contribution to global sea level rise from its land-held ice is almost 7.5 times greater than all other sources of land-held ice in the world combined. The continent stores enough frozen water to raise global sea levels by 190 feet (58 meters), if it were to melt entirely. Knowing how much ice it’s losing is key to understanding the impacts of climate change now and its pace in the future. “The datasets from IMBIE are extremely valuable for the ice sheet modeling community,” said study co-author Sophie Nowicki of NASA’s Goddard Space Flight Center. The satellite missions providing data for this study are NASA’s Ice, Cloud and land Elevation Satellite (ICESat); the joint NASA/German Aerospace Center Gravity Recovery and Climate Experiment (GRACE); ESA’s first and second European Remote Sensing satellites, Envisat and CryoSat-2; the European Union’s Sentinel-1 and Sentinel-2 missions; the Japan Aerospace Exploration Agency’s Advanced Land Observatory System; the Canadian Space Agency’s RADARSAT-1 and RADARSAT-2 satellites; the Italian Space Agency’s COSMO-SkyMed satellites; and the German Aerospace Center’s TerraSAR-X satellite. Tom Wagner, cryosphere program manager at NASA Headquarters, hopes to welcome a new era of Antarctic science with the May 2018 launch of the Gravity Recovery and Climate Experiment Follow-on (GRACE-FO) mission and the upcoming launch of NASA’s Ice, Cloud and land Elevation Satellite-2 (ICESat-2). 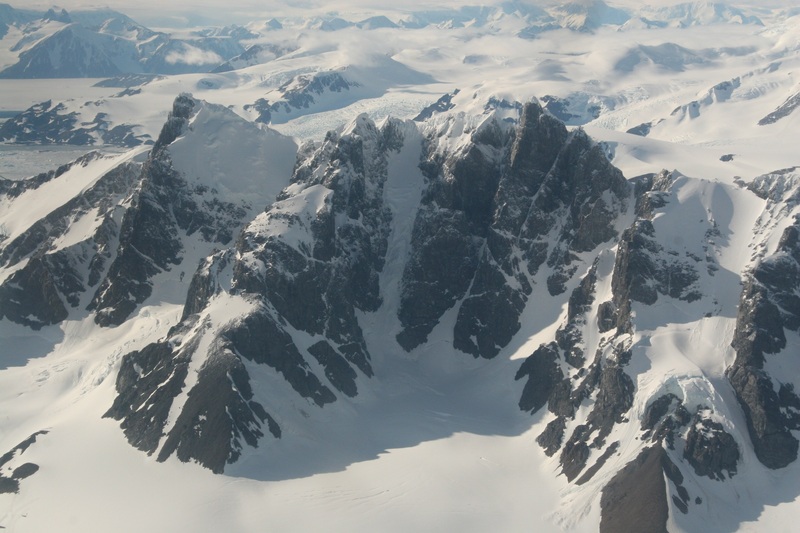 “Data from these missions will help scientists connect the environmental drivers of change with the mechanisms of ice loss to improve our projections of sea level rise in the coming decades," Wagner said. 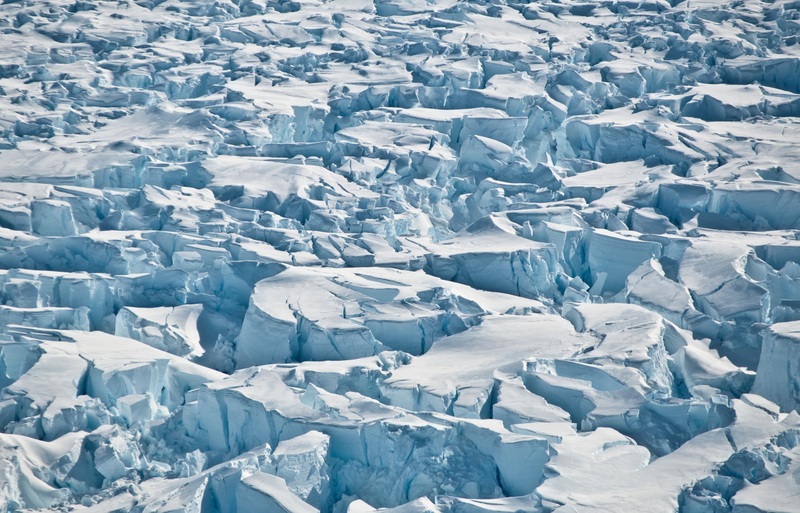 NY Times : Could Earth's Ice Sheets Collapse? With ECDIS the future of lighthouses is somewhat compromised. Ships at sea hardly need anymore lighthouses to find their position at sea. A marine engineer and inventor has set what he hopes could be a world record for the longest ship-to-shore email using his own special WiFi system. 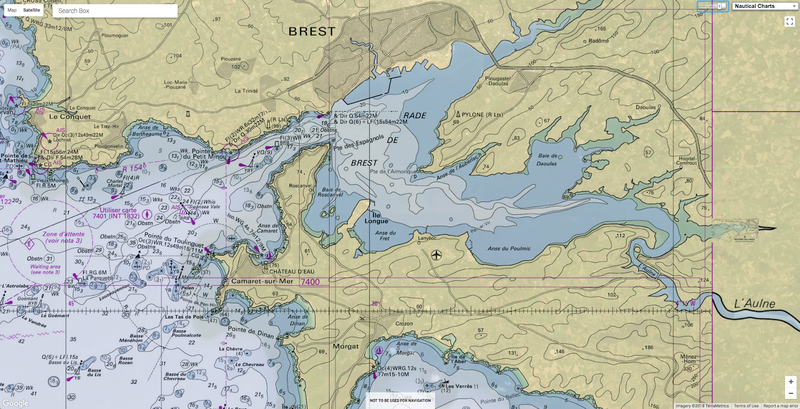 While 200 metres is considered long-distance in most ordinary WiFi networks, like a modern-day Marconi, Arnaud Disant used his SeaFi network to send an email at 4.18pm yesterday from a ship about 15.5 nautical miles, almost 29km, off Roche’s Point in Cork Harbour to a computer in the Roche’s Point lighthouse. The email, which included data and maps charting the vessel’s precise location, was sent without any support from satellites or cellular network. And just as Marconi’s pioneering work in the early 1900s on long-distance radio transmission led to the telegraph system and ultimately radio, Mr Disant hopes his work will lead to a revolution in marine communications. “People have little interest for marine telecommunications. It’s not trendy,” he said. “Beside few people have ever spent more than a few hours at sea — heading to the UK or France on a car ferry is as far as it gets. And who needs to keep in touch with the office while heading on holiday? “So understanding the needs for modern data communication at sea is really remote for most people. Mr Disant, a lecturer in marine data communication at the National Maritime College of Ireland, founded SEATech Evolution in 2007, a company which specialises in network infrastructure and electronic engineering. The firm has spent the last decade developing SeaFi. 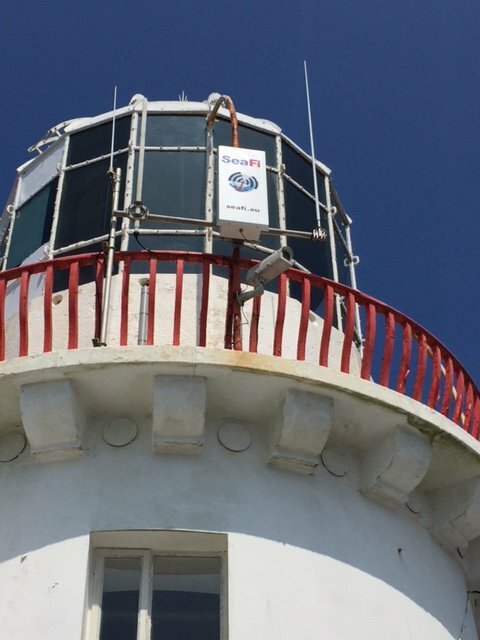 The key to the system is powerful ship antennas which transmit wirelessly and securely over a private wireless network to special receiving shore antennas, one of which is attached to the Roche’s Point lighthouse. “To put it simply, WiFi is more like a bare light bulb while SeaFi is more like a focused flashlight,” said Mr Disant. The system has been tested successfully for the last few years in Cork Harbour in a partnership with the Port of Cork. The LE Orla and LE Niamh helped test SeaFi ship antennas in seagoing conditions. 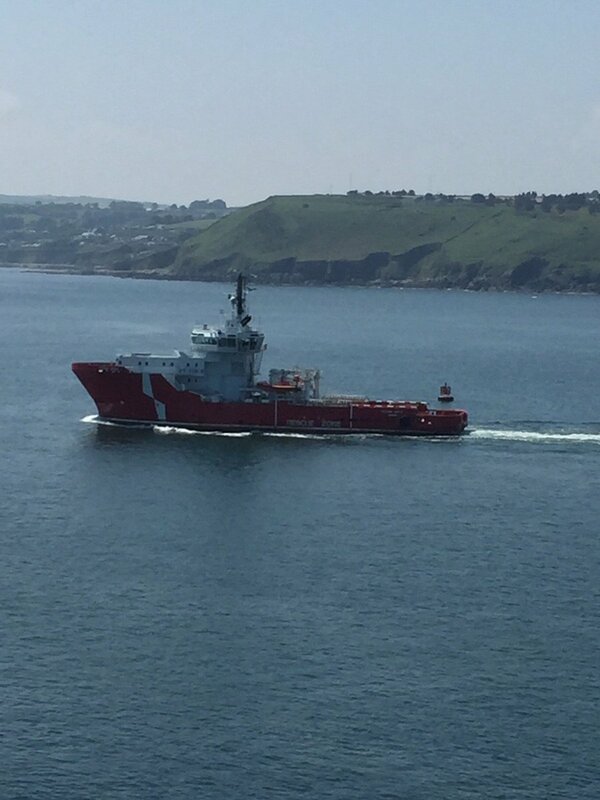 SeaFi is the main link to shore for the Port of Cork’s vessels, MV Denis Murphy and MT Gerry O’Sullivan; is used by crews of cruise ships visiting Cork; and has been successfully tested on a data buoy for two years. Its network covers the navigational areas from 10 nautical miles off Roche’s Point all the way up the river Lee to Tivoli Dock container terminal. It has been tested to a distance of 15 nautical miles and has achieved constant speeds of between five and 15 mbps — about three times faster than real 3G speeds and five times faster than the latest generation of satellite communications, and at a fraction of the costs. And while final confirmation is expected today, it is believed Mr Disant sent his last ship-to-shore email yesterday as Ocean Spey sat just over 15.5 nautical miles off Roche’s Point. The record attempt was witnessed by several independent experts both on board and on shore. A raft of technical data will now be submitted to the Guinness Book of Records for consideration. GeoGarage blog : S@iLink, stay connected at sea ! In the standoff between Italy and Malta over a migrant ship stranded in the Mediterranean, both have insisted on their right to refuse a vessel entry to their ports. Although Spain offered safe harbour to the boat and the 629 migrants on board, the episode has raised questions about a country's legal obligations towards those rescued at sea. Here are a few key questions. "International maritime law does not provide for specific obligations which would determine in all cases which state is responsible to allow disembarkation on its territory," the United Nations refugee agency (UNHCR) says. But that does not mean a country can simply hold up a stop sign and wash its hands of the situation when a vessel packed with vulnerable migrants approaches its shores. UNHCR also pointed to "key treaties" stating that a nation which has responsibility for an area in which a search-and-rescue operation takes place is required to "exercise primary responsibility" for coordinating the migrants' safe disembarkation. The International Organization for Migration also said that while states are not forced to accept specific vessels, there is a collective duty to ensure a humane outcome. "Regarding disembarkation, states are obliged to cooperate to find a safe place to disembark migrants rescued in their search and rescue area," IOM spokesman Leonard Doyle told AFP, citing legal experts. What if there's an emergency on board? This could arguably compel a state to grant access to its ports. "If the country has control over the ship and there are migrants in dire straights aboard and no agreement with another state to take them can be found, they should not delay but accept them," Doyle said. In the case of the Aquarius, which is operated by SOS Méditerranée, UNHCR said that the dwindling provisions on board created "an urgent humanitarian imperative" for Italy and Malta to allow the boat to dock. Spain's intervention later appeared to defuse the crisis. What happens after the migrants disembark? In an apparent attempt to justify Rome's stance, far-right Interior Minister Matteo Salvini said Italy's new populist government could not be forced to turn the country into "a huge refugee camp". But UNHCR said letting a boat dock did not mean a country would have to take long-term responsibility for those on board. "A state which allows disembarkation on its territory of rescued persons – particularly in situations involving large numbers of people – need not, in UNHCR's view, be solely responsible for providing durable solutions on its own territory." Global Fishing Watch's new night light vessel detection layer uses satellite imagery from the US National Oceanic and Atmospheric Administration (NOAA) to reveal the location and activity of brightly lit vessels operating at night. Because the vessels are detected solely based on light emission, we can detect individual vessels and even entire fishing fleets that are not broadcasting AIS and so are not represented in the AIS-based fishing activity layer. New data is being used to expose fleets of previously unmonitored fishing vessels on the high seas, in what campaigners hope will lead to the eradication of illegal, unregulated and unreported fishing. Global Fishing Watch (GFW) has turned low light imaging data collected by the US National Oceanic and Atmospheric Administration (NOAA) into the first publicly available real-time map showing the location and identity of thousands of vessels operating at night in waters that lie beyond national jurisdiction. 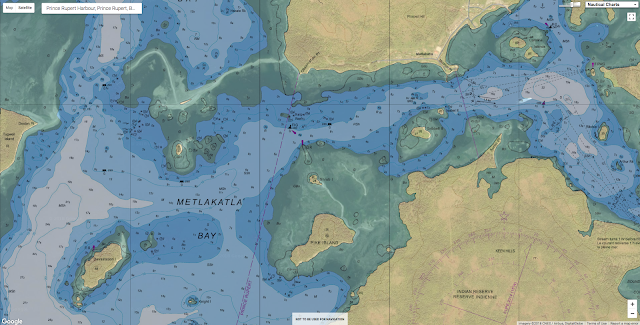 More than 85% of the “dark fleet” detections include smaller vessels that are not fitted with transponders and larger ones that have switched off their tracking systems to avoid detection, according to GFW, which launched the map on Friday to mark World Oceans Day. 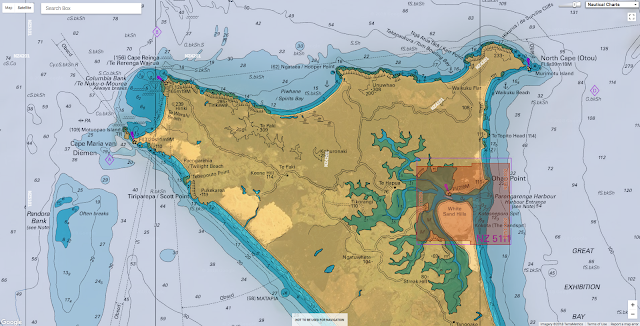 The pink circles on the map represent two fishing vessels in close proximity to one another. Global Fishing Watch’s new night light vessel detection layer uses satellite imagery from the U.S. National Oceanic and Atmospheric Administration (NOAA) to reveal the location and activity of brightly lit vessels operating at night. The data, collected by the NOAA’s visible infrared imaging radiometer suite, is being used to track a fleet of about 200 mostly Chinese vessels at the edge of Peru’s economic exclusion zone. The monitoring, conducted by GFW, a non-profit organisation campaigning for greater transparency in the fishing industry, and the conservation group Oceana, reveals that about 20% of the Chinese vessels are not broadcasting via automatic tracking systems, raising suspicions they are operating illegally. The report on the high seas activity coincides with the launch by GFW of the first ever real-time view of transshipment, which enables fishing boats to transfer their catch to refrigerated cargo vessels and remain at sea for months, or even years, at a time but still get their catch to the market. “By harnessing big data and artificial intelligence, we’re able to generate a clearer view into the often shady practice of transshipment,” said Paul Woods, chief technology officer at GFW. Four countries – China, Taiwan, Japan and South Korea – account for well over two-thirds of high seas fishing, including 500 vessels belonging to Japan’s distant water fleet. “If you could get the North Asian countries fully engaged in strengthening regulation of high seas fisheries, you would go a long way towards solving the problem,” said Quentin Hanich, head of the fisheries governance research programme at the Australian National Centre for Ocean Resources and Security. To detect pairs of vessels meeting at sea, analysts applied machine learning algorithms to more than 30 billion Automatic Identification System (AIS) messages from ocean-going boats to find tell-tale transshipment behaviour, such as two vessels alongside each other long enough to transfer catch, crew, or supplies. As a major market for Chinese processed and re-exported seafood, Japan is well placed to use its influence to improve traceability and transparency, Hanich added. “China is still in an expansionist stage when it comes to high seas fisheries, and it’s still reluctant to agree to many of the types of measures we need to put in place,” he told the Guardian. The need for fleets to cut fuel and other costs was highlighted in a new report claiming that fishing in more than half the world’s high seas fishing grounds would be unprofitable without billions of dollars in government subsidies. “Governments subsidised high seas fishing with $4.2bn in 2014, far exceeding the net economic benefit of fishing in the high seas,” said the report, published this week in the journal Science Advances. A portrait of the Ocean. Giant Swells emerge from Winter Storms of the North Atlantic, they travel thousands of miles south and converge into a 16,000ft deep underwater canyon, retaining their full potential as they approach the shore. Each Wave tells a story, with it’s own color, shape, expression and details. It’s a long journey, culminating in a raw display of power on the Coast of Nazaré. This rare set of circumstances creates the biggest and gnarliest waves on the planet.